A select band of artists were invited to peek inside Melbourne University’s plant collection, reports Anders Furze. 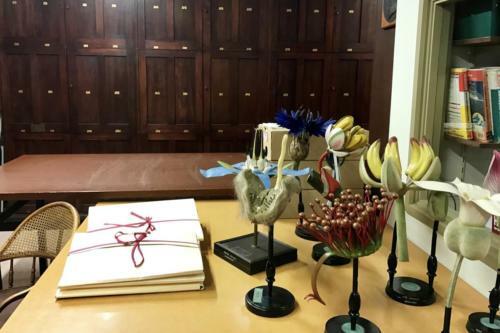 A herbarium – an institution devoted to collecting plant samples – might not immediately seem like a traditional source of artistic inspiration. 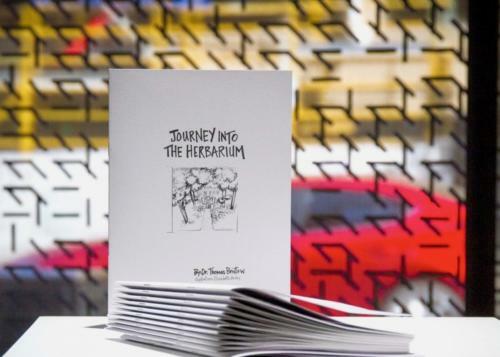 But a small exhibition at Carlton Connect’s Lab-14 gallery brings together six artists who have created works inspired by the University of Melbourne’s Herbarium. The exhibition includes works in media including photography, poetry, a graphic novel and sound. The artists ended up responding not just to the plant material collected in the Herbarium, but to the institution itself. “I was interested in one particular specimen collected by Joseph Banks,” said Dr Bonny Cassidy, whose poem GROUNDS is featured in the exhibition. Alongside Dr Thomas Bristow and Dr Jan Brueggemeier, Dr Danielle Wyatt helped co-ordinate the exhibition. 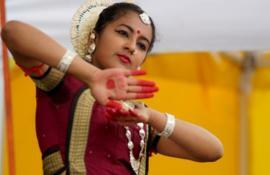 She said that the artists learned a lot through the process of creating their works. 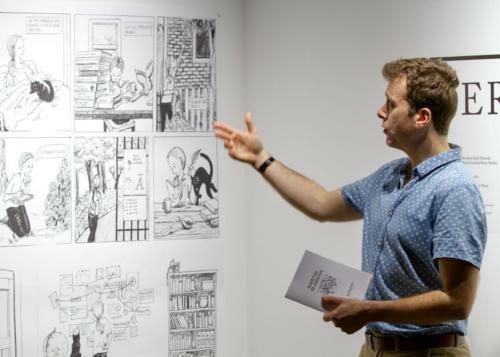 Dr Bristow collaborated with illustrator Elizabeth Hickey on a graphic novel for the exhibition. Among other things, their work explores the new discoveries that interdisciplinary collaboration can help facilitate. The Herbarium itself is located on the first floor of the university’s labyrinthine Botany building. Started in 1926, it is the oldest and largest university herbarium in Australia, with around 150,000 specimens of plants and fungi filed in its stacks and shelves. Watercolours and other works of art on the subject of botany are also in the collection. Dr Jo Birch, the Herbarium’s chief curator, notes that the social context of the plants in the collection is just as important as the plants themselves. “We keep the field notebooks associated with the specimens, keep the numbering systems and supporting documentation, so that all these links can be made by other people,” she said. The artists incorporated the Herbarium to various degrees in their work. For artist Harry Nankin, the exhibition offered the chance to further his interest in the natural world’s relationship with us. To create his work In Defence of the Pathetic Fallacy,Nankin travelled to a small patch of semi-native bush south-west of Mildura. At night, he erected support systems in the bush, placed photographic film onto the structure and then let off flashes of light. Situating the bush vegetation between the flash and film, he captured a shadow of vegetation, imprinted at full scale onto film. The Herbarium sample of the plant he captured on film – the Belah tree, or Casuarina pauper– is also exhibited. 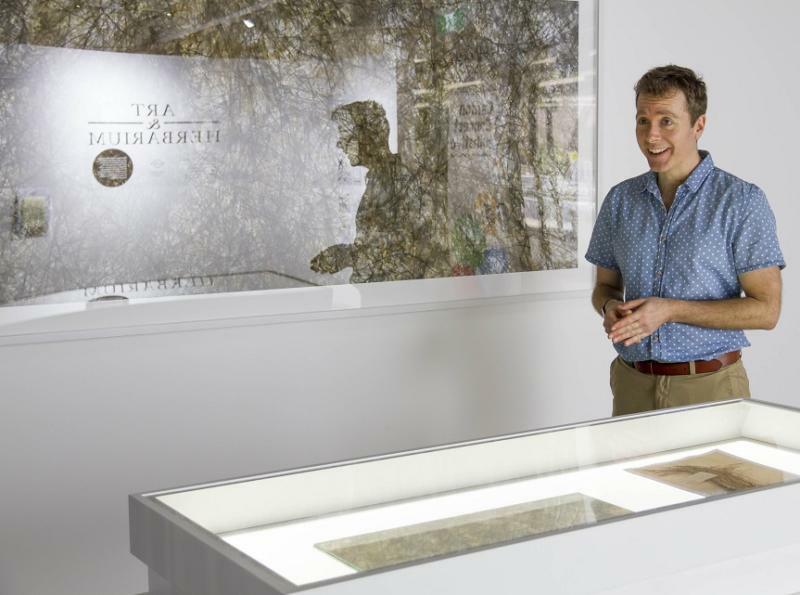 The work’s juxtaposition of a full-scale imprint of the bushland with the Herbarium sample draws attention to just how much the Herbarium’s properties and function change the way we perceive the plant. The Art & Herbariumexhibition reflects the trend within Australian universities towards increasingly cross-disciplinary collaboration. 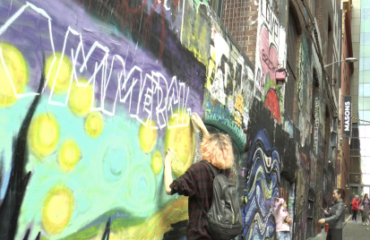 “Artists and people in the humanities want to play a role in tackling these big, social problems that previously we’ve maybe felt disciplinarily excluded from,” said Dr Wyatt. Although commonly seen as distinct disciplines, art and science do overlap in quite specific ways, according to Dr Wyatt. “We know that scientific exploration operated alongside artistic work in botany and, in fact, they still are. Illustrators are still employed by Herbaria. And you see it in other disciplines as well, like anatomy. Though ultimately beneficial, the collaboration was not without its unique challenges. Dr Cassidy quickly overcame her initial concern about the project. In many ways, the Art & Herbariumexhibition speaks directly to our current moment – not only through its interdisciplinary focus, but in how climate change is embedded inside various works. “On the one hand, we like to be suspicious of anthropomorphism – giving non-humans human qualities – because it’s irrational,” said Nankin. “On the other hand, given our ecological crisis, one way through our indifference to nature might be, in a sense, to give it anthropomorphism, in the same way that we treat our cats and dogs. The title of Nankin’s work references is the “pathetic fallacy”, a term coined by 19th century critic John Ruskin in reference to the tendency of artists to ascribe nature with human qualities. In many ways, it is the highly contentious intersection of nature, humans and institutions that is the key characteristic of the exhibition. Dr Wyatt and curator Dr Jan Brueggemeier wrote in their introduction to the exhibition: “We aimed to do justice to the full meaning of a creative investigation of the Herbarium. ► Art & Herbarium is currently showing at the Lab-14 gallery until March 16. Entrance is free.